And when they come down..........they come down fast!! 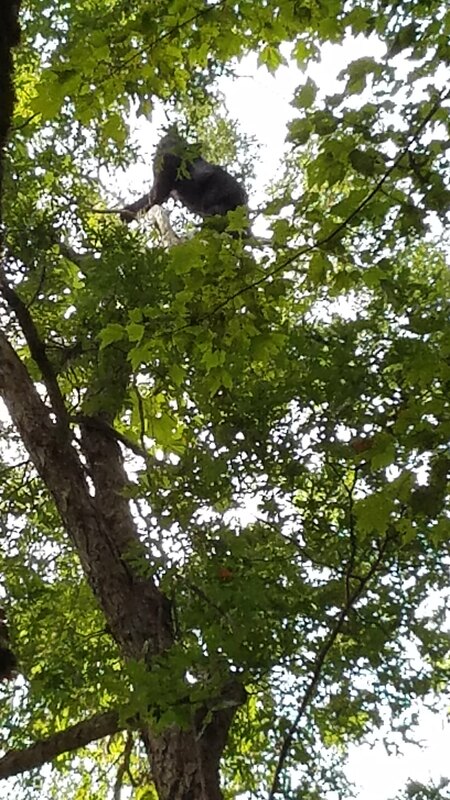 The cubs were big and she may have been 100 lbs.......I had a perfect 10 yard broadside shot at her...........she stopped coming down the tree.......she was 8 ft. up the tree when she stopped........I passed. Awesome. I love it up there. Maybe next season. I hiked across Chatt. WMA off trail 3 miles.........can you make it? The way in was all uphill.........it was TOUGH!! Doubt I could do three miles or even a mile. I've found sign and seen bears a lot closer and uphill from the service roads. Call me lazy but there are better ways. 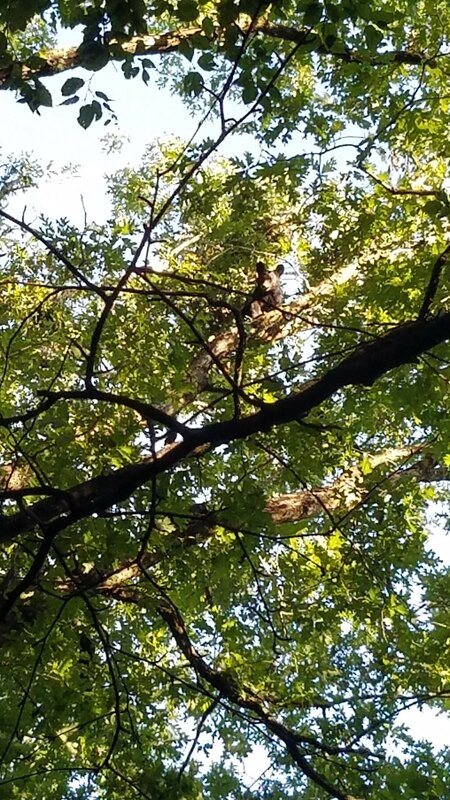 Found one bear 1 mile down a service road......you will meet a bunch of hunters when you are close to the main roads. 2 miles in and off trail I found a total of 9 bears in a small area! He also brought 3 other mature bucks! A 10 point, 7 point (which was an 8 last year) and a large body funky 7 point. 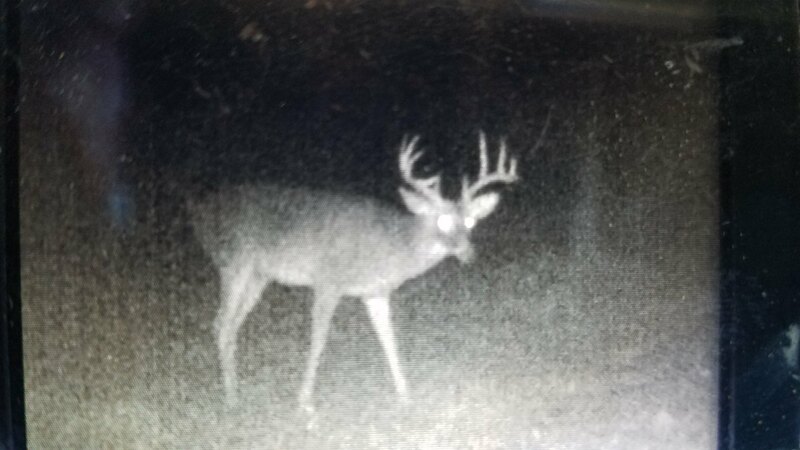 Got pics of him last year.....he was a 10......he is 3.5.......I hope he makes another year. The 8 point came in at dark Sunday night......he is older......he will taste just fine. Thinking back I think the broadhead buried under his shoulder.......I am 99% sure he is still alive........went out yesterday and searched for buzzards..........no buzzards. Looking forward to taking Bailey next Saturday. I'm keeping my fingers crossed that he will show up with a slight limp.